I love to take photos, and nothing beats the excited emails I get from my couples when they have seen their wedding or portrait slideshows, it makes me happy dance at my desk! Lisa Jane did the photographs for our daughter’s wedding and we are so glad that she did! The formal shots are well composed and of high quality, but what makes the collection so memorable are the individual, quirky moments that capture people’s personalities so beautifully. 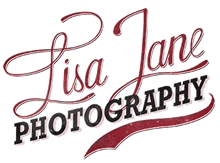 From the start to the finish Lisa Jane was always on the lookout for interesting, captivating images that instantly bring the whole day back. Her imagination and creativity in the composition of the photos of the couple make them really stunning images. But what made Lisa Jane’s contribution to the day so special was the care she took with everyone – constantly supportive, always aware of everything that was going on, helping all sorts of people with all sorts of things, arranging the formal shots quickly and efficiently with a sense of humour but without being overbearing or bossy and using her experience of weddings to help us make the day go as smoothly as we could hope for. We had expected excellent photos but had not expected our photographer to work with such kindness, warmth and sensitivity – we were very lucky to have her with us on this special day. Andy is a keen photographer and had a really good idea of the sort of style of photography he wanted for the wedding. We looked at lots of blogs and listings, but none were really matching up to Andy’s expectations. Then we came across a blog of a couple getting married at Stoke Newington Town Hall. It was exactly the candid style we were looking for, and could instantly picture how ours might look so arranged to meet Lisa straight away. From our first meeting with Lisa, I had been saying to Andy how I wanted her to be my new best friend! Full of enthusiasm, it would be hard for anyone not to warm to her. Over the months leading up to the day, and on the day itself, Lisa was more of a reassuring old friend than a wedding supplier. We loved spending time with her and it meant we felt so comfortable with her on the day itself. Lisa’s ability to step back and capture all the details that would often go unnoticed is such a refined skill. Everything is there. The nerves, the anticipation, the laughter, the loving glances and the gentlest touch. Every time we look back through our photos, it transports us back to the day and to some really raw emotions. I’m sure that they will continue to reduce us to tears for many years to come. We couldn’t be happier with the pictures of the day and couldn’t recommend her more. Lisa was amazing! Not only one of the coolest people we have ever met who captured our day beautifully but someone who became our mate and danced the wedding night away with us. We hit it off from the moment we had our engagement shoot during a fun filled afternoon in Brighton and it was lovely to have Lisa there to share our day with us. She was an incredible support on the day and in the run up to the wedding. The photos are incredible and we laugh and smile every time we look at them. Every detail and intimate moment was captured and we can’t thank Lisa enough. For us, photography was always going to be an important component to our wedding day and, we really wanted to get it right. After seeing some of Lisa’s work on a wedding blog, I really liked her approach. We met up for a coffee and talked all things wedding and from the start she was enthusiastic, interested and understood what we were after. On the day itself she made us both feel at ease and was calm, unobtrusive, but not afraid to direct people if needed. Our photographs are just wonderful; Lisa really managed to capture the essence of the day and each time we look at them, we love them even more. Our toughest decision has been trying to agree on which of the amazing images we want for our album.